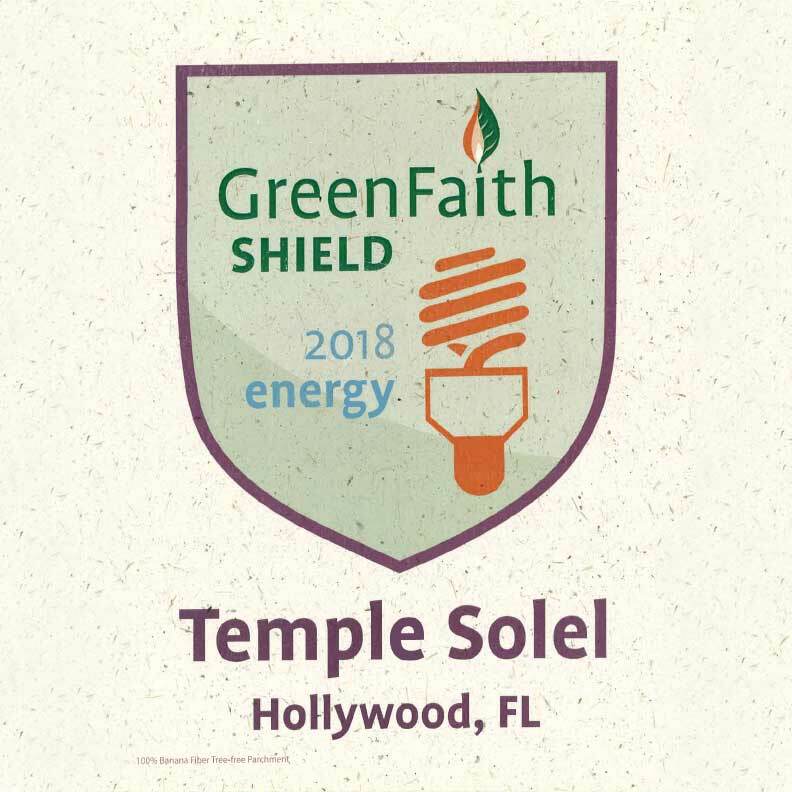 We will celebrate this achievement and honor all of the Solel Families who completed the GreenFaith Checklist on Friday, March 16th for a vegetarian potluck dinner and special Shabbat Service. Full letter below. 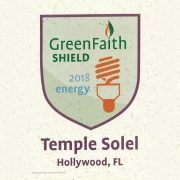 On behalf of GreenFaith and the Religious Action Center of Reform Judaism, it is our great pleasure to commemorate your completion of the GreenFaith Energy Shield! Over the past year, you have done tremendous work to reduce your carbon footprint and educate your members about the importance of energy conservation. You should feel really proud of your efforts. It has been a joy to work with you, and we look forward to collaborating on other environmental projects in the future. We are enclosing a beautiful certificate, made from recycled materials, that showcases your completion of the program. Please share our excitement with your entire congregation; we encourage you to display your certificate proudly. Thank you for your commitment and your dedication—you are an inspiring example for the entire GreenFaith and RAC community.